In Loving Ways Family Childcare Nature Explore Classroom quieter areas of art, science, building and gardening have been intentionally placed on the north side of the property. These areas are divided by 4×4 frames, wood chips, sidewalk, a low berm, plants and rocks. The middle of the classroom opens up into a grass play space, music and movement area and gathering area, while the perimeter contains an outdoor eating area and raised butterfly garden. Compacted gravel and brick form a smooth surface along the bike path. On the south side of the play yard, children climb and swing and build. 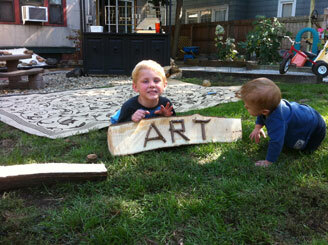 Innovative signs have been created for the space using split logs with twig letters. Long lasting hardwoods, such as maple, oak and ironwood are used throughout the classroom for chairs, tables and other items. Treating them with a deck wash keeps them looking nice. Fruit trees, grape vines and vegetable gardens have been placed throughout the classroom. 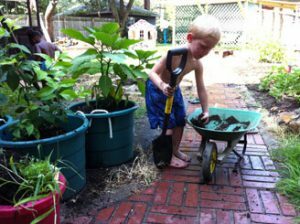 The children love to plant and help take care of the gardens and also love the reward of eating what they have grown. A secluded area has been made using a berm, tall grass, pond and a bridge. A creative sand hut was made from tree limbs and provides shade and separation from the other areas. With additions of tree cookies, stumps, tree branches and hollow logs, there is never a shortage of natural items to maneuver. Colored plants, natural material and varying levels of elevation create interest and an eye pleasing experience that flows from one area to the next. Children’s artwork is proudly displayed throughout the classroom during the year. Bird feeders attract several species of birds while the flowering butterfly garden draws butterflies and humming birds. Children can observe and document the colors and activities of these little visitors. 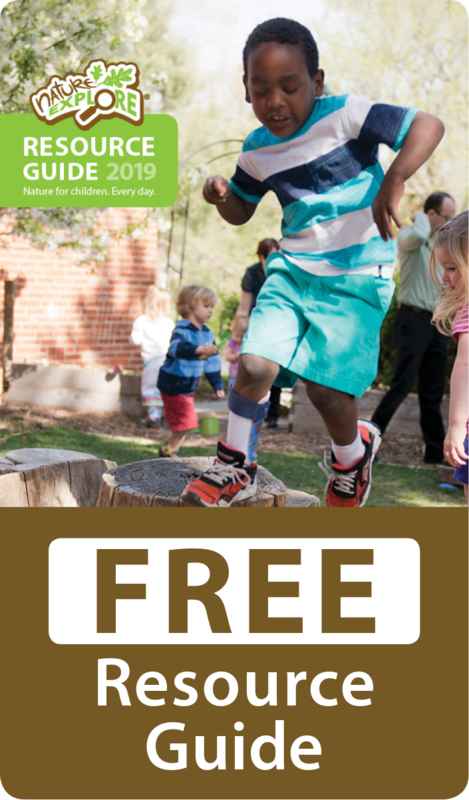 All families are encouraged to use the Nature Explore Families’ Club materials and to come and experience the Nature Explore Classroom environment with their child through Loving Ways open door policy or through the many outdoor activities planned throughout the year.